A masticating juicer machine is one that runs on low speed to be more efficient in juicing fruits and vegetables as well as mincing other herbs and spices. The machine slowly squeezes the ingredients rather than grinding them, which is why it can get out every last bit of the nutrient and fluid out of the pulps. This usually results in keeping the pure flavor and color of the fruits and vegetables intact, which is rare for other types of juicers. The best masticating juicer also keeps more nutrients and vitamins in the juice, compared to other types of machines. It also takes out more juice from the pulp, while creating less foam.A masticating juicer generally operates in the low speed of about only 80 to 120 rpm. This helps in not disrupting the cellular structure of the vegetables and fruits. This ensures that there is no oxidation happening to the juices. This also preserves the precious enzymes and nutrients of the ingredients. The juice from the best masticating juicer is closest to its natural form, unlike a centrifugal juicer. Oxidized juice is nothing but spoiled juice. This is the original and first type of masticating juicer that was ever built. The design has been improved over the years and distributed all over the world. In different parts of the world, these can have even different names. These juicers are also multipurpose food processors since they can make pasta, soy milk, nut butter, shave ice as well mince, grind and chop. The horizontal design has a feeding chute with a diameter with a size of 1.25 inches. This is very different from the large mouth of the centrifugal juicers. This can be something you need getting used to but trust me; this is to make sure that the produce you put in is not fed too quickly. The juicer needs to operate at a very low rpm to protect the nutrients and enzymes of the fruits and vegetables. 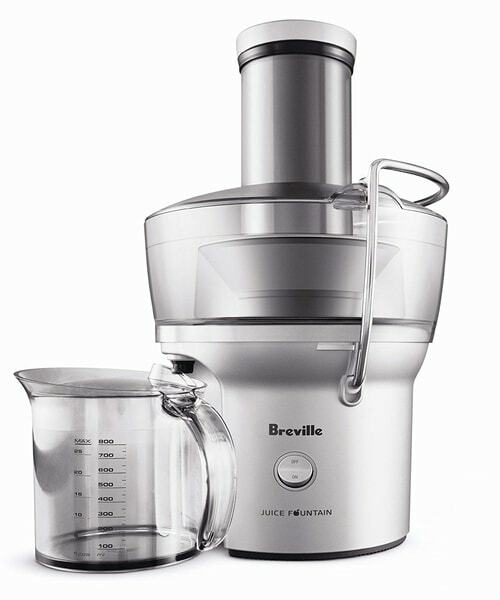 The vertical version is for making juices out of fruits and vegetables only so it is not a multi-tasking juicer. The vertical design got its patent in recent times so it is comparatively newer. The vertical designs are aesthetically pleasing for the modern kitchens. The vertical ones can save the kitchen countertop space for easy storage. This allows for a larger and more efficient auger. The feeding chute of the vertical masticating juicer is wider than the previous model. It is at 2.25″ x 1.25″. This reduces the preparation time to cut the ingredients. The vertical design pulls in the produce with gravity because of the design. The self-feeding juicing is thus an almost effortless process in this design. Same as any other masticating juicers, the vertical ones are good at keeping the nutrients and the original flavor intact. A masticating juicer has many benefits some of which are already in the above texts. In detail, now I will talk about some of the benefits to persuade your decision. Since a masticating juicer operates at low rpm of 80 rpm to the maximum of 120 rpm, it is relatively a lot quieter than the centrifugal juicers. If you have an infant at the house, I am sure you will appreciate this little and minor thing. Moreover, if you like to get your juice intake in the wee hours of the day, I am sure your family members will appreciate the sentiment a lot more. You can even take it to your office space and have a juice only diet if you want to and nobody will get disturbed either. The low-speed rotation system of the best masticating juicer means there is no oxidation of the fruits and vegetables. For example, it is almost impossible to juice an apple in a centrifugal juicer without it getting oxidation. For proper juicing experience, a masticating juicer is lot better as it will preserve the enzymes by preventing oxidation. This, in turn, results in better tasting juices, of course. That’s right when you use a best masticating juicer; you get more nutrients out of your produce. It is because the extraction system is as such. The low rotation system of the juicer tears open the cell membranes of the ingredients. This results in the release of the deep-seated nutrients and phytochemicals from the produces. The juice you get out of the masticating juice is more stable than that of from a centrifugal one. You can store the juice from a masticating machine in the fridge for up to 24 hours without any issues. There will be no discoloration, nor will there be any changes in taste, which is next to impossible to get when using other juicers. That’s right, there is very little to no foam when you make juice in a masticating juicer. The ordinary juicers, on the other hand, run on such high speed that they need an individual froth collector to get rid of it. Your Juice from masticating juicer will be foam free and much clearer in color. As I have already mentioned, the juices you make from the best masticating juicer will have no oxidation, thus your juice will taste highly concentrated with a rich flavor. The flavor you get will be closer to the original taste of the fruit or vegetable itself. It will be almost like eating a whole produce, rather than just juice. The best masticating juicer can get the juice out from the soft and leafy vegetables such as spinach and kale. It can even make juice out of wheatgrass so you will not have to purchase a different juicer for it. When you make juice with a masticating juicer, you end up getting more juice than you would from a centrifugal one. This is because the masticating juicer carefully squeezes out the produce, rather than hastily grinding it. And the result is a dryer pulp, which in turn makes up for more juice. Since the best masticating juicer has simpler operations, they have fewer parts and stuff going on inside. This is why it is easier to handle and clean up is easy as well. It only takes under two minutes to wash up the whole unit. This makes your juicing experience more fun as you don’t need to worry about washing up a ton of things to get your juice intake. Since the masticating juicer works at a low speed, it does not get heated like the centrifugal juicers. It means that the masticating juicer runs better in the long run, as they don’t overheat and the parts stay intact for longer. Now that you know about the benefits of a best masticating juicer, you can finally go to the market to purchase one. Same as any other products, you might feel the task at hand daunting at first, considering the numerous amounts of features to choose from. When you go for a purchase in the market, you will first of all see that there are two types of masticating juicers available. They are the single gear juicers and double gear juicers. Single gear juicers come at a cheap price. They are good for making juices from fruits, vegetables, leafy greens as well as wheatgrass. However, they don’t last long and the lifespan in only about 2 years, even less with heavy duty usage. Double gear juicers, on the other hand, are good for taking on the heavy duty tasks. These masticating juicers are more powerful and durable compared to the single gear ones. It can grind up large amounts of ingredients at one go. But keep in mind that the double gear juicers operate at a lower speed compared to the single gear juicers. But masticating juicers in general run at lower speeds compared to the centrifugal juicers. The best masticating juicer does not operate at the speed more than 100 rpm. The reason for such lower speed is that higher speed creating overheating and foaming. Low speed, therefore, keeps the vitamins and nutrients of the produce intact. So I will advise you to go with a lower speed one. The lower the speed, chances are, the more vitamins and nutrients will be intact. This is another thing you need to pay close attention to, the construction of the juicer. Most best masticating juicers are made from plastic, steel or carbon infused materials. If you plan to use your masticating juicer only occasionally, then you can get a plastic housing or ceramic finishing one. But if you want a masticating juicer that will work well for you for long time use, you can get one with a metal exterior. Sturdy and durable metal such as stainless steel will be great for such purpose. The feet of the best masticating juice will have no slip components. So they can be made out of rubber pads or suction caps. This will make sure that your juicer stays stable while you make your juices. Cleaning up is never fun to do; at least I don’t consider it to be fun. When you are making your juices, you can feel like the cleaning up process is taking up too much of your time. In turn, this is going to stop you from getting your daily juice intake. So it is better to get a juicer that has easy and quick cleaning up procedure. There are many masticating juicers in the market which have several components inside the juicer. These can be tough to assemble and then disassemble. I will suggest you do you research well before you make that final purchase decision. If you find one that is easy to assemble and disassemble, I will recommend you to go for it. But if it is not, you can get one that has the reverse motion system. This helps you to clean the gears inside of the best masticating juicer without having you to disassemble the entire juicer for cleanup. This is another important aspect to keep track of before you make that final purchase. Most single gear juicers, as I have already mentioned earlier, will last you for up to 2 years. The double gear juicers, on the other hand, can last for as long as 5 years. The housing of the masticating juicer can also determine the lifespan as well. Stainless steel masticating juicers will outlast the plastic and ceramic ones for sure. You should take a closer look at the warranty before you make that final purchasing decision. Your convenience should be your top priority in any of your purchases, and it is the same in the case of a best masticating juicer as well. Compact juicers are easier to handle and they are also easily portable. The compact juicer also tends to be easier to operate, as they come with fewer complicated parts. The compact juicers have designs that make them straightforward. And not to mention, compact juicers also take up less storage space at your kitchen counter top or cupboard. This means your kitchen will look better off with a compact masticating juicer aesthetically. In terms of form, you can go either horizontal or vertical way. I will suggest you get an upright or vertical one. The upright one will save your space. It will also be better at the performance. The quality of the juice, as well as the amount of juice you get from an upright juicer you get, is higher. This is because the upright juicer uses a dual stage process to squeeze out and press into your produce to get out more juice. But keep in mind that most upright masticating juicers are generally the single gear models. This means they are not very good with heavy usage. Other than that one issue, they are great juicers for all your produces be it fruits, vegetables, wheatgrass or leafy greens. Price is obviously one of the most important factors in buying any type of products. If you compare the prices of masticating juicers with a centrifugal one, you will feel really shocked. The centrifugal juicers generally retail for 50 to 300 dollars. 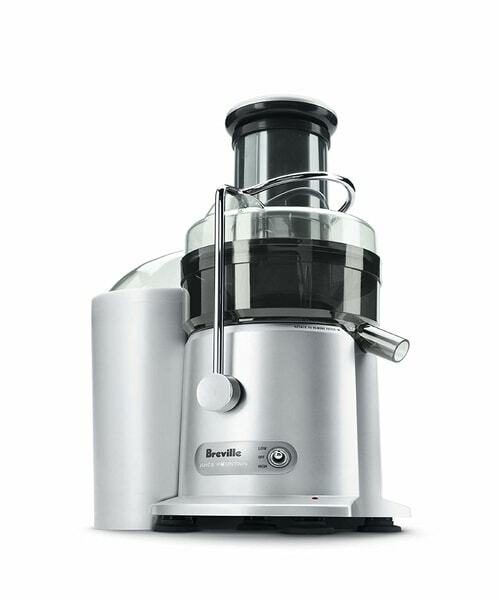 On the other hand, the masticating juicers can be found in the range 300 to 700 dollars. So yes, masticating juicers are far more expensive than the centrifugal ones. The higher price tag is common for the best masticating juicers. Masticating juicer has the higher amount of better quality juice and it they also waste way less than the centrifugal ones. You will be actually saving money in the long run since you will not be buying more fruits and vegetables you make your juices. Buying the best masticating juicer is, therefore, a worthwhile investment you can make which will serve you well for years to come. It is better to buy a best masticating juicer with a clear container as you will be able to see the juice level. If there are visible marking in ounces or any other measure in the container of your juicer it is even better. You will be able to pinpoint how much juice you are getting what amount of produce. This will help you in making your future grocery store shopping. When you know for example you need one apple to make half a glass of juice, you will know how much you need to buy. This may seem like a minor issue, it is better to be cautious than regret it later. Cords that have up to 4 feet or more in length will give you more flexibility when you place the juicer. Make sure that your cord has a way to store so that you can easily store it away while you are not using it. Best masticating juicer generally has some way to hide the cord in the juicer itself. You will have to clean your juicer after each wash, so it is better if the removable parts are dishwasher safe. If you can place them on the top rack of your dishwasher, you will be more comfortable with the cleanup process. In turn, you are more likely to continue on your juicing journey if your cleaning process consists of minimum effort on your part. Masticating juicers generally do not have large chutes. But large chutes are easier to use since you can throw in your fruits and vegetables without cutting them into many pieces first. The pulp regulator of the best masticating juicer can allow for some variation of the pulpiness of the juice. If you do not want a fully pulp free juice though, you can skip this option. Make sure you know what your end goal is before you decide to make your final purchase decision. Some masticating juicers are great for soft and citrus fruits such as oranges and lemons, but there are some which are great for leafy greens such as kelp and spinach. Know what your juicing preferences are before making your purchase. You can narrow down your list if you start with 10 options at first. Then one by one you can eliminate them by considering the above buying guide. Also, do not forget to set up a set budget. This will not only help you in narrowing down your options but also keep your pocket safe. You can easily stick to your budget and have a masticating juicer that is reasonable for you. You should get a masticating juicer that has dishwasher safe parts. The sieves, containers, gears etc. basically the removable parts should be dishwasher safe. This will cut down on your time and energy since you can just leave the task to your dishwasher. You should buy a juicer that is compact in size if you have a small kitchen space. Best masticating juicers comes with a cleaning brush in the package. You can use this cleaning brush to manually clean out the pulp that gets stuck in the nooks and crannies of the juicer. You should always go for one that has a cleaning brush with it as it will make the cleaning process effortless. Also, buy a model with cord storage. This will keep the clutter to a minimum. This will be even more helpful if you have a small kitchen. Select a model that has a large chute if you can. It will cut down on your time to make your juices since you will not have to cut the fruits and vegetables into many small pieces. But most masticating juicers do not have this feature and they generally have small chutes. Go for well-known brand names as they are more likely to follow through their warranty. Despite having many plus sides, there are a couple of disadvantages with the best masticating juicer. As I have already mentioned before, the best masticating juicer, compared to the centrifugal ones are more expensive. This is because they are better at making better juices with more nutrients, vitamins, taste as well as color. Best masticating juicers are heavier than the centrifugal ones. But in a way, this is a positive side since it means your juicer is going to be stable when you do your juicing. This compact juice fountain is a juicer that has all the capabilities of a big juicer in its compact size. The compact size is great since this can be easily stored in a small kitchen space. Moreover, we can take it with us to the office or other places if necessary. This is a heavy duty juicer which is good to make juices on a day to day life. This juice fountain has an assembly design where the knife blade is in the center. The powerful motor is 700 watt that operates at one constant speed of 14,000 RPM. The juice fountain has a 1-year limited warranty. Overall the features are quite standard for any juicer but the compact size is what makes it unique. The juicer has a durable body as it has titanium cutting discs with stainless steel micro mesh filter. The feeding tube is large enough to throw in whole pieces with the 3 inches circular opening. • Comes with a cleaning brush. • Easy to store since compact in size. • Body and all the parts have durable materials. • The motor starts making noises after a while. This juice fountain has a very powerful juice extractor as it can make 8 ounces of juice in only 5 seconds. The unit is very durable as it has stainless steel cutting disc with the other parts being equally sturdy. The micro mesh filter is from Italy and it follows the style of those foreign models as well. It can extract up to 30% more juice and 40% more vitamins and minerals compared to other juicers. The dual speed motor is powerful with 850 watts. The dual speed means it can make juice from both soft and hard fruits and vegetables. The safety measures are also there since the juice fountain has technologies such as Overload Protection system. The pulp collector is of large capacity. Also, comes with a 1-liter juice jug for easy storage to keep in the fridge. A filter basket, a froth separator and a cleaning brush are also accessories with the juicer. This juicer has a 1-year limited warranty. • Dual speed setting useful for making any sort of produces be it hard or soft. • The cord wraps around the base of the juicer. • The speed can get scary to the point it feels like the produce will get out. This juice fountain is a juicer with premium features. It has a powerful motor of 1000 watt. There are two-speed controls in this juicer, which is convenient to make different types of juices from types of produces. The high speed goes up to 13000 rpm and the low speed is at 6500 rpm. These two options give you the option to go for both soft and hard ingredients. The materials of the unit are all durable materials, so this is a very long lasting product. The package includes a pulp container, a juice pitcher and a recipe book along with an instruction manual. It also comes with a cleaning brush for your cleaning convenience. There is a locking arm in this juicer machine that moves up to ¼ in all directions. This ensures a snug fit in the locking arm. This is a great way to ensure that the juice extracts do not leak out of the unit while in the process. • The safety features are great to keep both the user and the juicer safe. • Cleaning up process is super easy with dishwasher safe parts. • You can’t change any of the faulty parts since the manufacturer doesn’t sell them separately. This juice fountain has a 900-watt motor that is quite powerful. There are 5-speed controls in this juicer machine which is very convenient to choose your best option. The top speed can make juice from hard vegetables and fruits such as carrots, apples, guavas etc. The lowest speed can make juice from citrus fruits such as lemons, oranges etc. The selling point of this juicer is the durable materials. The materials of the unit are all premium materials. The package comes with accessories such as a container to get the pulps, a juice jug to store the extra, a cleaning brush to clean it manually and a recipe book with an instructions manual. The control panel can be backlit, which I think is an added feature on this machine. The juicer unit comes with a 1-year limited warranty. • 5 variable speed settings for all sorts of produce despite the textures. • Does not make much noise in the juicing process. • The juicer produces a lot of foam and froth, which can dilute the color and flavor. This is a masticating juicer unit. It thus runs at the speed of as low as 80 rpm. Because of the low speed, it has many unique features which the centrifugal juicers lack. This juicer has a single gear commercial motor. The dual stage juicing means there will be no clogging, foaming or heat build up in this unit. Since it runs on low rotation, the machine runs quietly. Rather than only being a juicer, it is a multitasking machine. You can make nut butter, pasta, soy milk or grind and mince spices and herbs. But keep in mind that the low-speed system does not mean that it takes a longer time to juice. It means this is a more efficient juicer compared to the other ones. It overall makes up for better-flavored juice with more freshness as well as more antioxidants and nutrients. The unit is easy to assemble, operate and clean since it has lesser parts inside. • Multi-tasking abilities and can make many more things other than juice. • The juice has more nutrients and antioxidants than from the centrifugal ones. • The warranty instructions are not clear. This is a high-efficiency masticating style juicer in the vertical design. Since the design is upright, it is very easy to use in the juicing process. The low-speed juices run at 80 rpm. So the juicer will protect the nutrients and enzymes of the fruits, vegetables and anything else. The low speed will also make sure that there is no oxidation. Since there is no oxidation in this juicing process, you can store them for up to 72 hours in the fridge without any issues like changes in color or taste. The juicer has a dual stage processing system, meaning the maximum amount of juice extracts and juice you will get from all sorts of produce. It will be much better than the centrifugal juicers can produce. The juicer is also easy to use since it has a screw design of the auger. The hopper is at the top of the juicer. It has a pusher to push the ingredients down the juicer. It is very easy to assemble as well. The hopper first attaches to a bowl and then the bowl attaches to the base. It also comes with two containers and two spouts for fresh juice and pulp gathering. And since it is a masticating juicer, it is easier to clean. • Makes more juice since it passes through dual stage process. • Doesn’t change the color and taste of the juice at all. • The feeding chute is narrow. This juicer has all the latest technologies in it. It is a centrifugal juicer machine. This juicer’s motor is a powerful one with 1000 watt. It comes with 5 variable speed options. It means you can choose from low to high speed, depending on the texture and hardness of your fruits and vegetables. The feeding chute is a large 3 inches chute with a circular opening so you just chuck in whole produces. There are easy unlocking systems to an adjustable flow spout. There is a filter basket that comes with housing. It also comes with dishwasher safe parts so your cleanup process is fast and easy. It has accessories such as a pulp container and a juice pitcher. It also comes with a cleaning brush to clean up the hard to get to pulp extracts in the tight spaces. The product follows the North American electrical standards, so it is safe to use. • It has an easy to unlock and lift system. • The accessories are convenient for the juicing process. • It makes very little juice at one time. This is a juicer that gives you both juice and puree in one machine. There is a puree disc you can use to have waste free juicing. There is a 5-speed dial that lets you choose from soft to hard fruits and vegetables. The motor is super powerful as it is a 1200 watt one but at the same time, it is considerably quiet. Your family will definitely benefit from it if you have the tendency to get your juice in the late hours. The cleanup is an easy fit with the cleaning brush it comes with. All the removable parts you can wash at the top shelf of the dishwasher. The machine looks sleek and modern with its heavy grade metal body with a die cast. The metal body makes the juicer machine very much durable as well. The feeding tube is large with a circular opening so you can put in the ingredients as a whole without having to cut them into pieces. • Dual discs for puree and juice making. • Convenient cleanup with dishwasher parts and a cleanup brush. • The juices have oxidation. This is another masticating style juicer machine. It is a low-speed juicing system so the rotation speed is only 80 rpm. Since the rotation speed is so low; the juice contains more nutrients and antioxidants. Moreover, this juicer can make juice as well as mince, grind and make other food such as pasta, soy milk, nut butter etc. as well as herbs and spices mix. This has a dual stage extraction system so you get more amount of juice from a minimum amount of fruits and vegetables. The juicer prevents the juice from changing taste and color as there is no oxidation. This 5th generation masticating juicer has five different settings which are adjustable. This makes up for the maximum juice output. The same amount will not be possible in a centrifugal one. The machine also has a continuous juicing process with automatic pulp injection. This will make the user’s job a lot easier. The cleaning process is fast since there are not many parts inside the juicer machine. The machine runs on 110 volts. • Can make multiple things other than juice. • Juice tastes and looks better. • The ring of the gasket broke after a while. This is a masticating juicer machine with a low-speed juicing system. The rotation speed is only 80 rpm so the juice contains more nutrients and antioxidants. This has a dual stage extraction system so you get more amount of juice than the same amount of produces would able to make in a centrifugal juicer. The juicer prevents oxidation so the juice doesn’t change color and taste. Oxidation generally spoils the juice so you get proper juice from this machine. You can store the juice for up to 72 hours in the fridge if you like and it will stay as fresh as new. Moreover, this juicer can make juice as well as other food like soy, peanut butter, different types of pasta and lots of other yummy variations. The juicer can also mince and grind the spices and herbs. All in all, it is a complete package rather than only a juicer. The 6th generation unit can make juice continuously with the automatic pulp injection. This will make the process a lot faster. • Five different adjustable settings. • Multipurpose unit for making lots of other food items. • The motor burns out after a couple of years. A best masticating juicer machine can totally be a game changer, as cliche as it might sound. I will recommend you to carefully do your research and go for one that suits your budget and needs. I think you will not be disappointed with the result.